Archaeologists have uncovered Celtic helmets throughout their territory. The highest concentration and numbers of finds have been in the lands of the Senones tribe. It is in this area of northern Italy that lie the Montefortino burial grounds. The ancient writer, Tacitus, stated that the British Celts (and Germans) did not wear helmets. Indeed, very few Celtic helemts have been found in Britain (I am aware of only two - both now housed in the British Museum). So, it appears that helmets were common only among the Gauls, the upper class warriors in particular. These high-quality helmet designs were a great influence on Roman armorers. The types listed below are the most common kinds in use during the 1st century BC. Montefortino Helmet Archaeologists named this type after a Celtic burial ground in northen Italy. The Montefortino helmet emerged sometime in the 5th century BC. Earlier examples tended to be made of bronze, while iron construction became popular in later years. 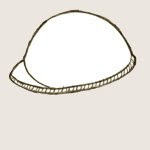 The knob at the helmets peak could hold a variety of crests: figural metal pieces, feathers, horsehair plumes, etc. Although the helmets decorative accents changed, the basic form was in use among Celtic and Roman soldiers for the next 400 years! Coolus Helmet This helmet is named after the French town where the first example was unearthed. 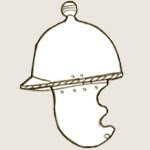 Historians often refered to them as "jockey cap" helmets. They were developed in the 3rd century BC and continued in production unitl well after the Roman conquest of Gaul. Though less common than the Montefortino, the Coolus was simple and effective in design. 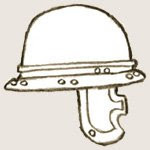 Their basic form is related to the Montefortino helmet, lacking the top knob. Cheek guards could be added, especially if they were produced for Roman use. See photo of the Roman interpretation of the Coolus helmet on the British Museum website. Agen-Port Helmet The iron Agen and Port type helmets were very similar in form. The "Port" name refers to Port bei Nidau, Swirzerland (where an example was found. I'm not sure what "Agen" refers to! The shell of the helm was deep and full, rather like a bowler hat. It was circled by a brim which sometimes extended in the back to form a neckgaurd. Port helmets are distinguished from Agen types by features such as embossed eyebrow designs and a rim that was lower, closer to ear-level. The cheek pieces are of a different shape than the older Celtic helmet types. This was the inspiration for the Imperial Roman Gallic type helmets. 1. 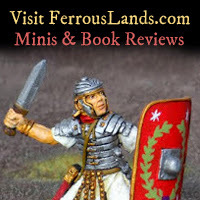 Greece and Rome at War, by Peter Connolly. A good many Celtic helmets are illustrated in this book. 2. Rome's Enemies (2): Gallic and British Celts, by Peter Wilcox. 3. Celtic Warrior: 300 BC-AD 100, by Stephen Allen. See a detailed photo of the British Iron Age La Tène style horned helmet on the British Museum website.